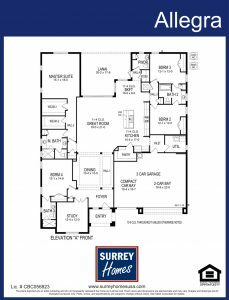 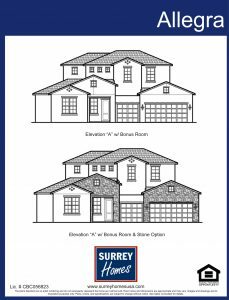 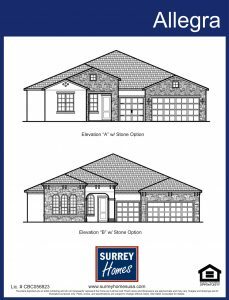 The Allegra model by Surrey Homes is a 3,038 square foot single family home featuring 4 Bedrooms and 3.5 Baths. 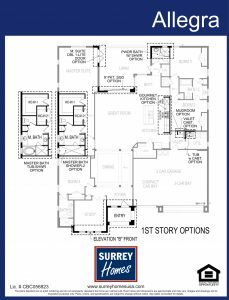 This floor plan offers a large, open to above great room design with eat-in kitchen, separate dining room, flex room, loft, first level master suite, covered lanai, 3 car garage, with an optional 2nd story loft. 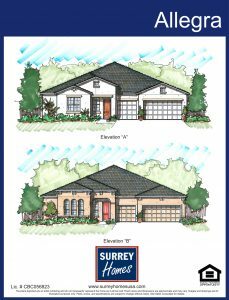 The Allegra model starts at $377,900.